This past week we had the pleasure of attending our first VMworld Europe conference, held this week at the Fira Gran Via in Barcelona, Spain. What a great experience! The key takeaways from the conference are quite interesting. The announcements from last and this week indicate some challenges in portions of their strategy going forward. 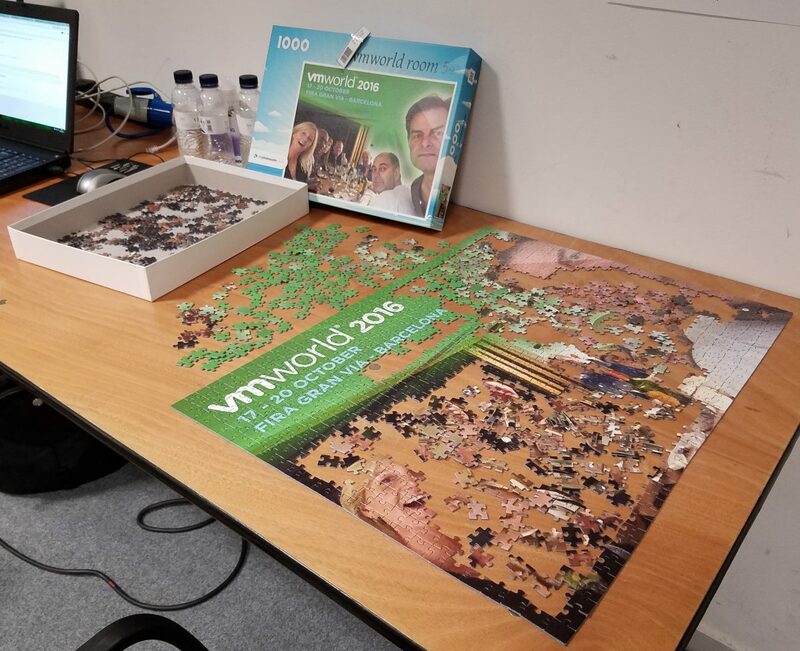 This photo from the speaker room sums up our thoughts on the state of VMware right now – many of the important puzzle pieces are in place, but there are some significant holes that need to be addressed for a more complete picture. 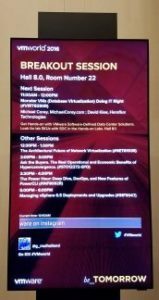 First up, I presented a session entitled “Performance Tuning and Monitoring for Virtualized Database Servers” with Thomas LaRock from Solarwinds. 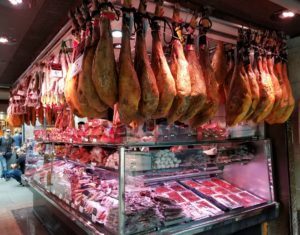 We talked about the need to monitor each layer at and underneath the databases for becoming proactive in active performance troubleshooting and monitoring. We presented to a packed room and fielded a number of great questions afterwards. 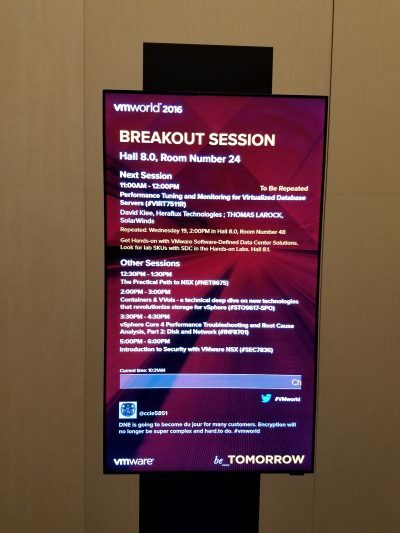 A little later in the day, I presented a session entitled “Performance Perspectives” for the vBrownBag TechTalks, where I talked about how VM admins need to understand that measuring performance statistics only from the hypervisor presents only a portion of the actual performance of the system. At the end of the day, I sat on a panel session with Patric Chang and Jonathan Flynn from SanDisk, and Jase McCarty from EMC entitled “Running Business Critical Applications and the Software Defined Data Center on Hyper-Converged Infrastructure and VSAN” where we discussed the implications of business-critical applications and their intersection with hyperconverged and all-flash systems. Wednesday was also a day filled with presentations and meetings. I started with a fun and action-packed session with Michael Corey entitled “Monster VMs (Database Virtualization) Doing IT Right” where we gave a rapid-fire stream of useful tips and tricks on maintaining maximum performance of virtualized SQL Server and Oracle VMs. That afternoon I presented a repeat session of the “Performance Tuning and Monitoring for Virtualized Database Servers” to another near capacity room. Thank you to all of the die-hard attendees that came for the repeat session when you could not get into the previous session. 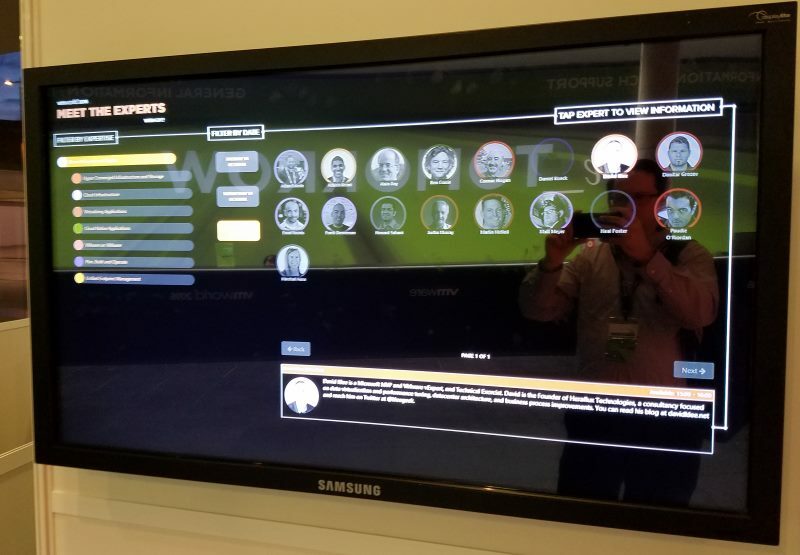 Next, VMworld has a lounge area that they call “Meet the Experts“. 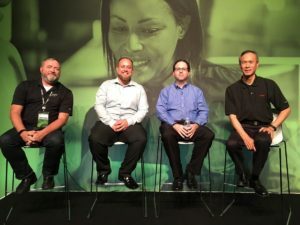 Michael Corey and I chatted with numerous attendees about their unique challenges with virtualizing business-critical apps, especially databases, and hopefully our answers will help them go and solve some of their concerns! 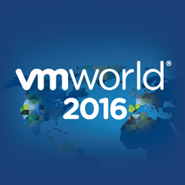 At this conference, VMware announced the next version of their flagship virtualization suite, vSphere 6.5. The whole list of updates and improvements are found here. I feel that this release is a solid evolutionary step towards the future of the on-premises software defined datacenter. I am exceptionally happy about the new REST-based API for managing the environment. We’ve got some ideas that we’re working on where this will come in handy! 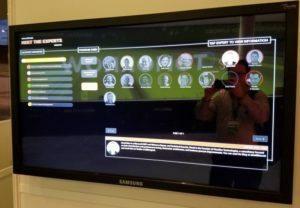 VMware says general availability of this release is scheduled for later on this year. 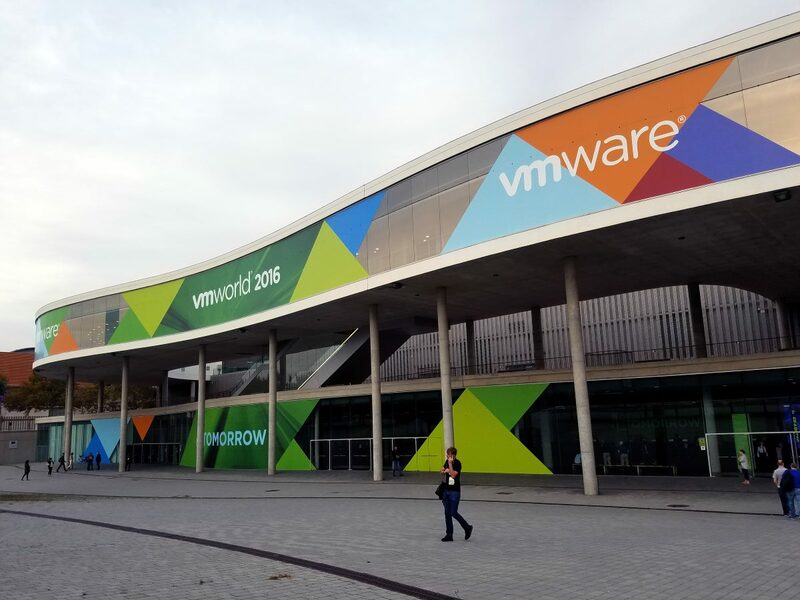 However, the overarching buzz at the conference was from VMware’s announcement last week. 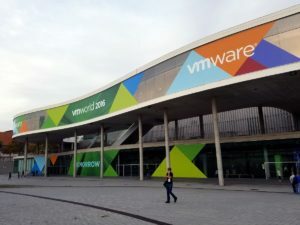 VMware is partnering with Amazon AWS to provide the means to extend the on-prem VMware deployments to the Amazon public cloud in order to create a seamless hybrid cloud approach. The reaction from the attendees was mixed. I am going to save my thoughts on this announcement for an upcoming blog post. It does open a lot of questions about target platform performance, database licensing implications, and operational management. 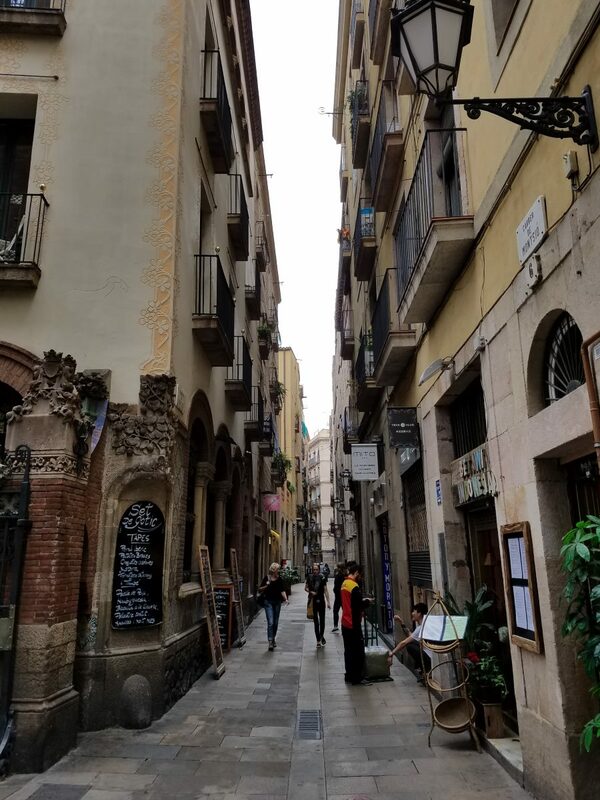 I did get to venture outside of the convention center and briefly explore Barcelona on Monday with several other SQL Server presenters. 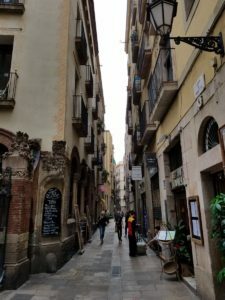 Barcelona is an incredible city. I wish I had a full month to just go exploring! 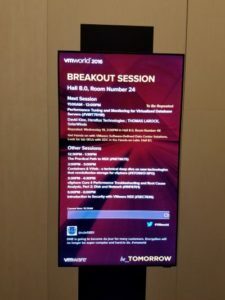 Thanks for having me speak at the conference VMware! 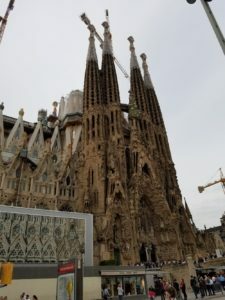 This was my first trip to VMworld Europe, but it will certainly not be the last!